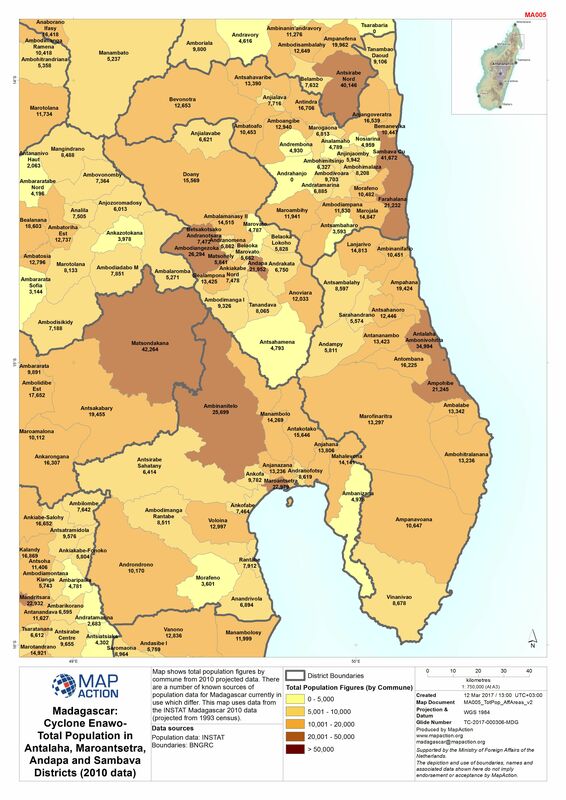 Map shows the current number of displaced people (as of 17 Mar 2017) as per the data collected by BNGRC from Fokontany and other sources. 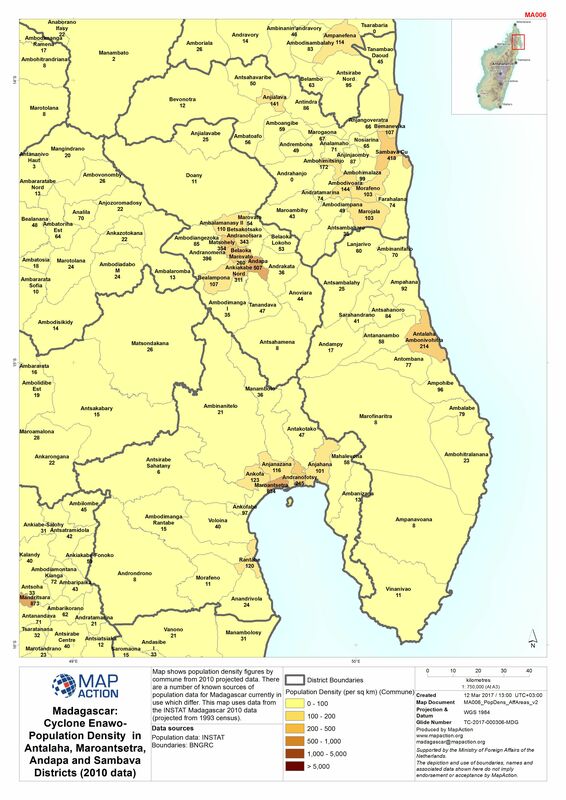 Map shows the current number of displaced people (as of 16 Mar 2017) as per the data collected by BNGRC from Fokotany and other sources. 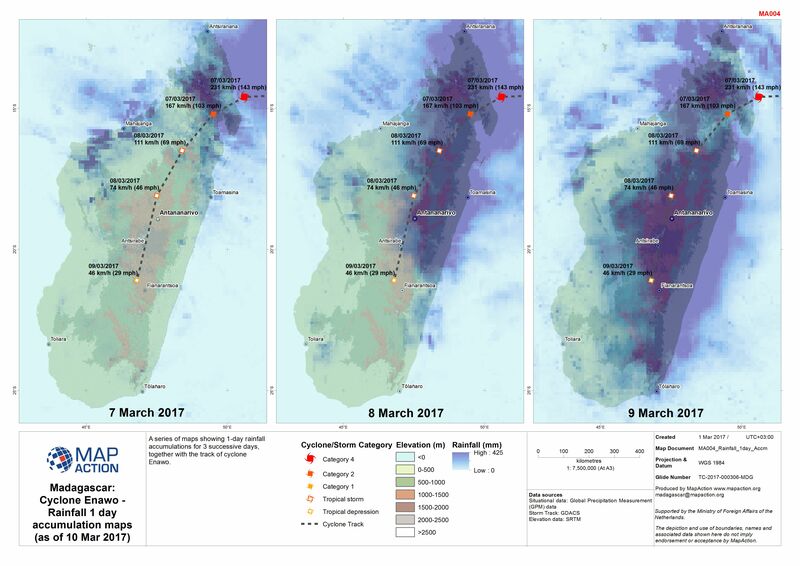 Map shows the current number of displaced people (as of 15 Mar 2017) as per the data collected by BNGRC from Fokotany and other sources. 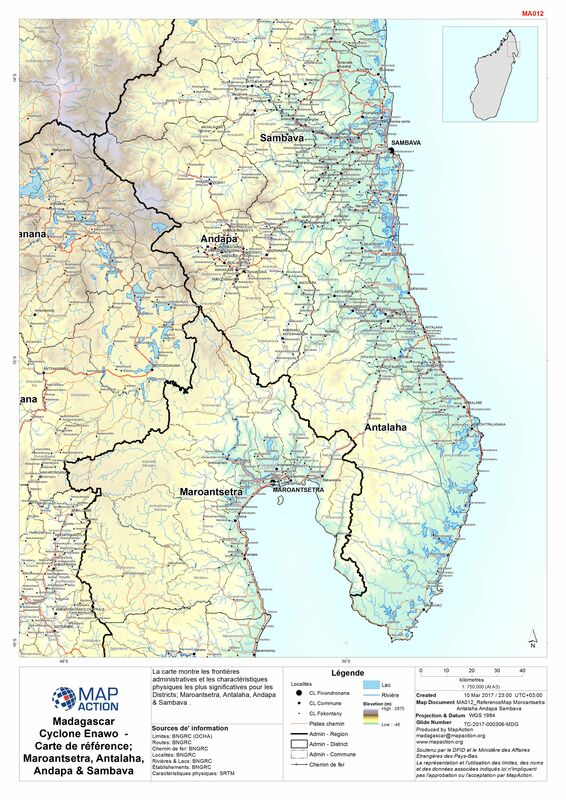 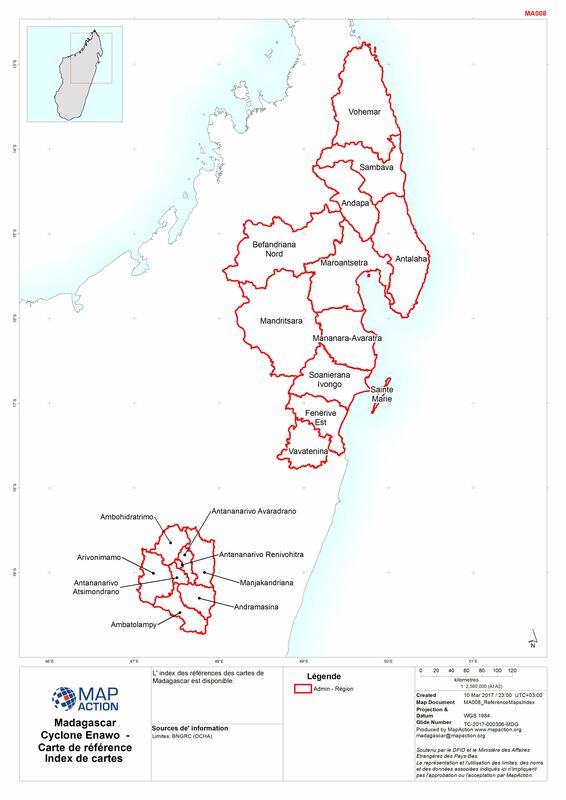 La carte montre les frontières administratives et les charactéristiques physiques les plus significatives pour les Districts; Maroantsetra, Antalaha, Andapa & Sambava . 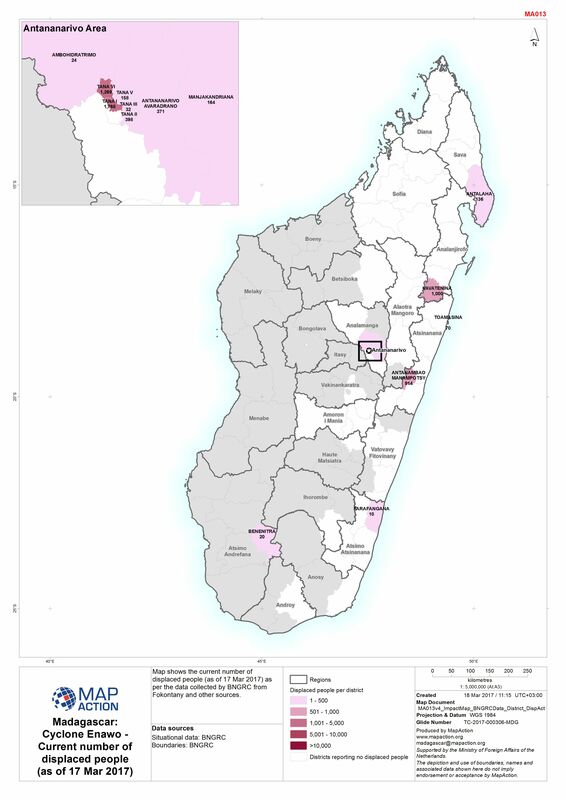 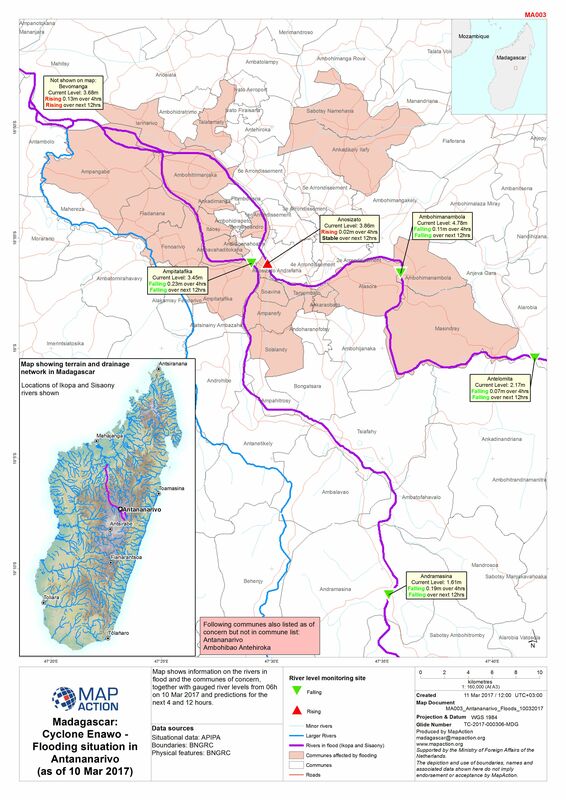 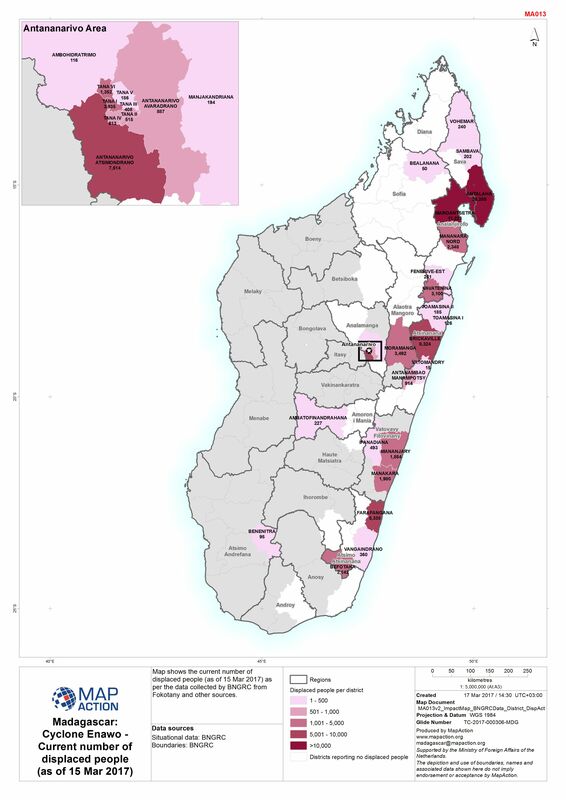 L' index des références des cartes de Madagascar est disponible. 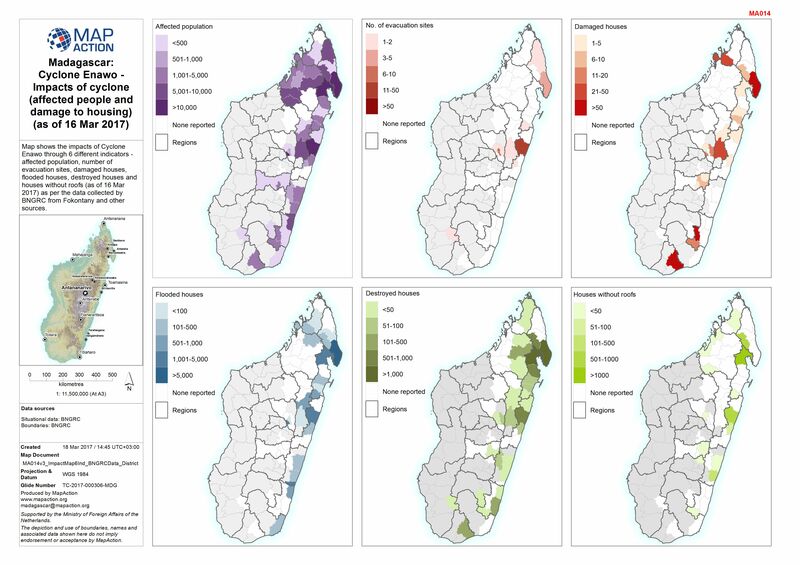 A series of maps showing 1-day rainfall accumulations for 3 successive days, together with the track of cyclone Enawo. 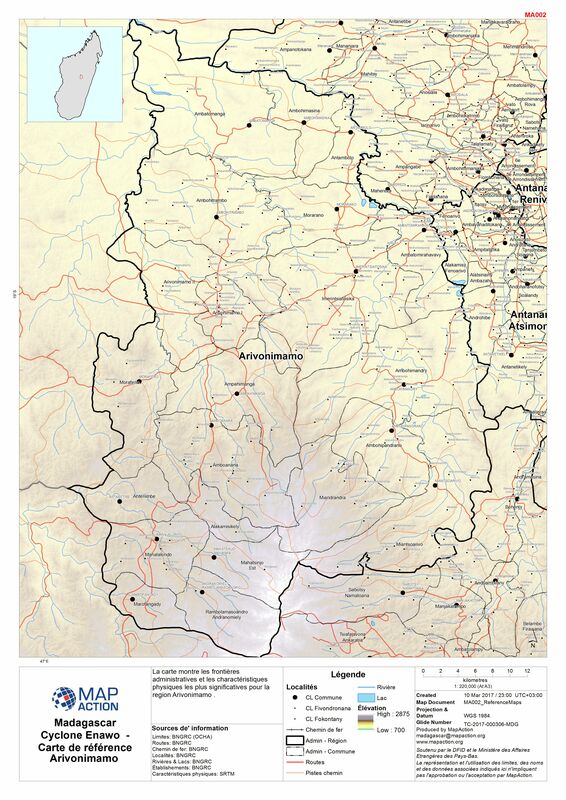 Map shows information on the rivers in flood and the communes of concern, together with gauged river levels from 06h on 10 Mar 2017 and predictions for the next 4 and 12 hours.